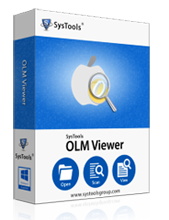 Don't have MAC operating system and thinking that how to view .olm files then download OLM Viewer freeware and read OLM file. Software is so efficient that it can open OLM file in windows also. 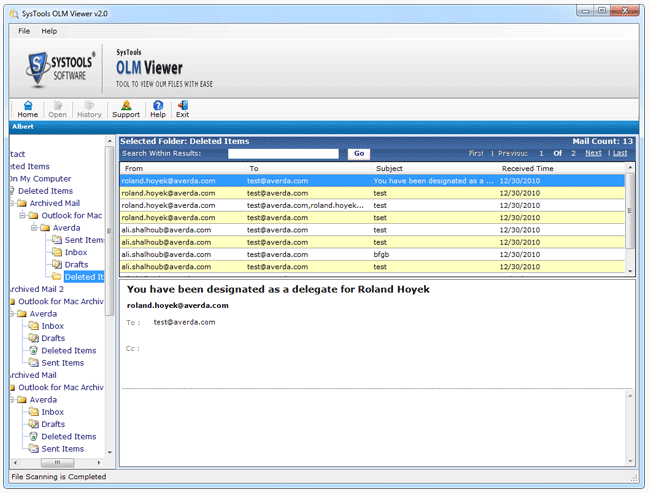 Preview of all OLM items like emails, contacts, tasks etc. 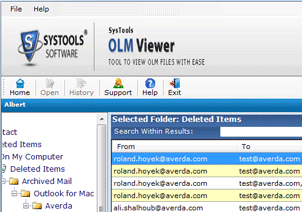 Before preview it scans OLM file to repair even file is corrupted. Open and Read any size of OLM file. 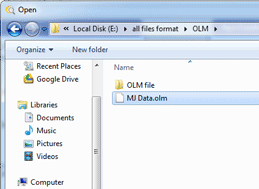 Preview of OLM Files in any versions of windows. 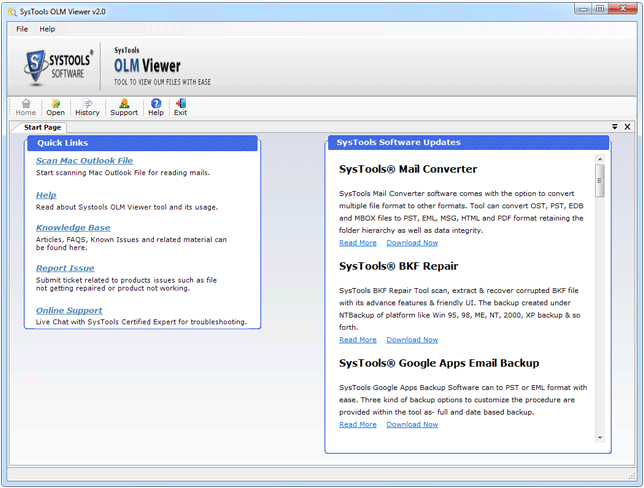 Run and then install the free OLM viewer. You will get the startup screen of software. You will get the option on the left "Open". 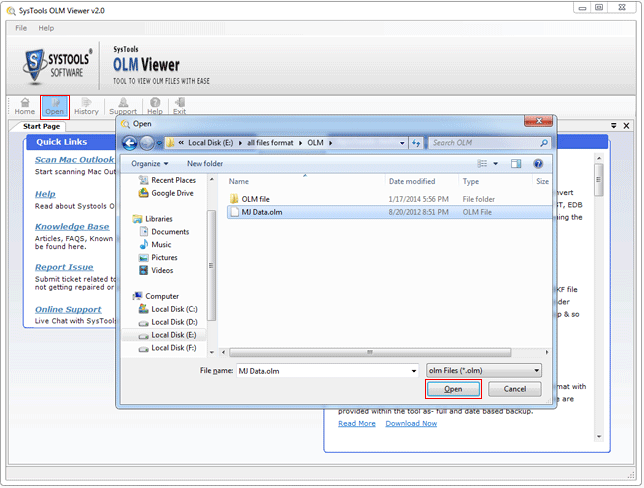 Click on the folder where OLM file located and open the desired olm file. When you open the desired OLM file, scanning will start. Click on OK after completion of scanning process. Other than free MAC OLM Viewer there are more freeware products available in the store, select and get the one that suits your need! I was working on MAC OS for past 3 years, but recently I switched to Windows machine and how to access MAC Outlook data file (.olm ) in Windows machine was a big query for me. 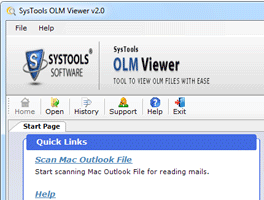 By using this free MAC OLM viewer tool, it is possible to open and read OLM file emails. Thanks for the providing such helpful application free of cost. 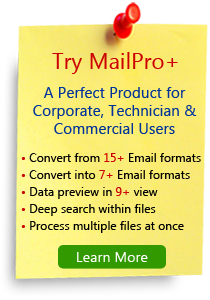 The tool is absolutely free for viewing emails and paid for exporting those emails to PDF or other formats.